Internet of Things (IoT) is a term used for describing a network of objects using which animals and human beings will be able to transfer data over any network without the use of human to computer interaction as well as also without the requirement of any kind of human to human interaction. In order to put it simply, we can say that Internet of Things is a way of embedding “things” with software, sensors, connectivity peripheral as well as electronics. In the scenario of IoT, all objects, human beings as well as animals will be provided with unique identifiers which will act as a gateway for the transfer of information from one media to another without the use of any third- party assistance. The concept of IoT came into existence as a by- product of wireless technologies, the internet as well as MEMS (Micro Electro- Mechanical Systems). Like every other entity, Internet of Things also comes with its share of positives as well as negatives. One of the notable positives of IoT is its use in the field of automobiles. Now that it is very clear that there is no industry which will remain unaffected by IoT, let us take a look at how Internet of Things will affect the vast automobile industry. The concept of self- driving cars, in- car computing, etc. are largely dependent on Internet of Things. This is due to the reason that with the help of IoT, we will be able to create cars with equal parts of hardware as well as software. As a result of this innovative step, the cars created will be of top- notch quality and it will certainly bring a boost in the sale of such high- end cars along with benefiting the finance sector. In other words, we can say that IoT will increase the connectivity between vehicles which will further enhance the choices made by buyers along with providing all information regarding their preferences while buying a new vehicle. With the introduction of automotive IoT companies in Australia like Mobile Mechanic it has become quite easy to get your cars serviced. 1. With the help of IoT, vehicles will get connected; hence enabling more usage- based policies to come into action. 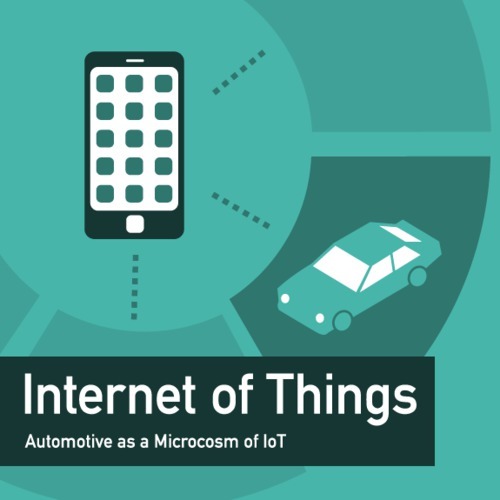 How Internet of Things is Reshaping Automotive? 2. Linking your smart phones with your car will also enable you to bridge the gap between new connected car models as well as the evergreen legacy vehicles. 3. With the help of this wireless connectivity, new models will be able to boost their demand, distribution and pricing across auto insurance as well as finance. 4. Probably one of the biggest challenges of transportation industry i.e. safety can be tackled with the help of Automotive Internet of Things. 5. Last but not the least, you can now a days see supercars from your favourite fiction movies becoming a reality due to the connection between IoT as well as the automobile industry. The human race is developing with each passing day and it is no surprise that we all eagerly wait to see the wheels of the future. In the coming times, connected cars will prove to be a huge advantage to both the car owner as well as the multi- billion automobile industry. and Do join us on Forum!